After successfully treating and eliminating all traces of acne from your skin you soon realize that the battle is not yet over. 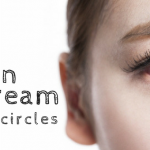 You see marks or spots that appear darker or are of inconsistent appearance with the rest of your skin. These flaws are known as blemishes. Blemishes on your face can rain on anyone’s parade after the joy that comes with finally riding your skin of acne pimples. But what can you really do to get yourself blemish-free skin? 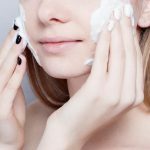 With tons of skin care products to sift through online and in stores, it can be a game of try and error trying to find the right skin care product. However, with Proactive Emergency Blemish Relief , you don’t need to go looking anymore. Here’s more about this amazing product. 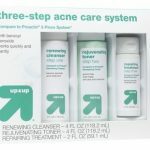 There are many attractive features about Proactive Emergency Blemish Relief that make this the go-to sin care product for all issues surrounding acne and blemishes. 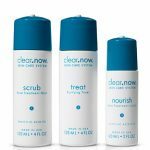 Dermatologists and skin care experts alike are quick to prescribe this blemish relief to their patients all thanks to its high record of success. 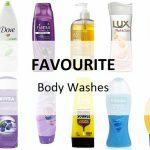 This tells you that it is a credible and high-quality product to use on your skin for the purpose of eliminating blemishes. 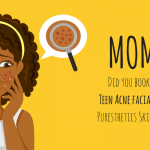 Here are some more good qualities that you should know about Proactive Emergency Blemish Relief. 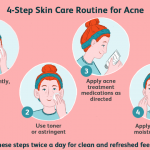 When you have blemishes on your face and are experiencing acne at the same time, you wonder if there’s a single product that you can use to treat both skin issues. 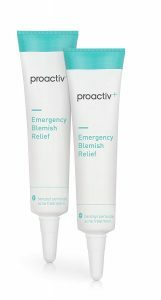 Well, Proactive Emergency Blemish Relief contains 5% micro-crystal Benzoyl Peroxide. 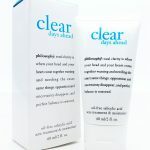 This not only enables you to clear blemishes but also does a good job of treating acne pimples. Say you have a romantic date to attend or it is your wedding day. A day before the occasion you realize one or a few spots and blemishes on your face. This is where Proactive Emergency Blemish Relief comes in to save the day. 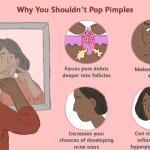 When you have a single spot that needs attention, you can use your clean fingertips to apply a layer of Proactive Emergency Blemish Relief on those areas that need attention. It is advisable to apply it on a clean and dry face one to three times a day for faster results. Instead of your fingertips, you can also use cotton swabs to help you apply. Blemishes come in all shapes and sizes. Some have blemishes only around the forehead or other part of the face. But in more serious cases you may find one with blemishes all over the face chest and back. 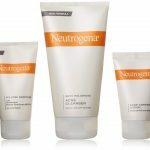 In such instances, doctors prescribe certain blemish clearing creams or gels to help alleviate them. 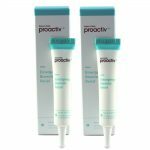 Proactive Emergency Blemish Relief is dermatology tested and has been proven to be non-Comedogenic. It acts fast to get rid of blemishes for a smooth complexion and an even-toned face. Designed to enter deep into your pores. It is uniquely formulated to clear surprise blemishes quick, unclog pores and absorb excess sebum from the skin. Proactive Emergency Blemish Relief not only helps clear blemishes but also ensures that the problem doesn’t recur again in future. It offers emergency relief for blemishes that appear out of nowhere. Even better is that it is invisible and can be inconspicuously worn during the day as you go about your normal day. Since its unveiling over two decades ago, Proactive Emergency Blemish Relief has gone through rigorous improvements to suit all skin types. 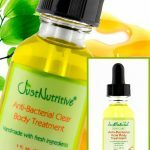 In addition, it can be used by people of all ages genders and ethnicities to give you flawless, clear, clean blemish-free skin. Now having garnered over 20 million customers throughout the world, you can bank on the safety and reliability of this world-class skin care product. 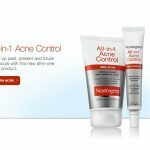 As capable as this product is in treating acne pimples, it is more focused on eliminating blemishes. It is hence advisable to find another treatment to treat acne and to rely on it solely to treat blemishes. For lack of better knowledge, it is easy to assume that home remedies are the best way to go to combat blemishes. However, using home remedies is often a long shot with higher chance of backfiring and lower chance of working. Instead of experimenting with your skin, the easier, less risky route would be to purchase a quality, reliable blemish treatment. 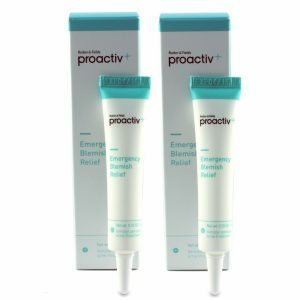 Proactive Emergency Blemish Relief is guaranteed to work and has gained recognition from people who have tried it and seen it work. For more relevant information about skin care and reliable products, read previous articles.